Keeping your resolution of staying organized in the new year doesn’t have to be complicated. Check out five products that make home organization easy. 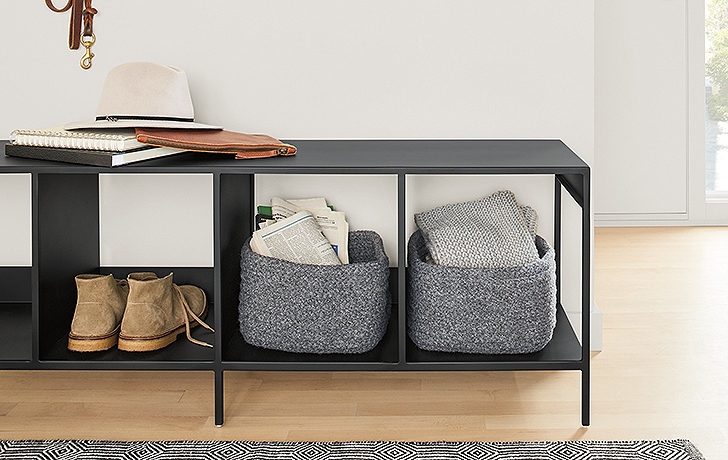 Our new Slim cubby bench is a great solution for entryways and bedrooms. Each compartment can hold baskets to contain clutter (and kids’ toys) or keep shoes and boots off the floor. 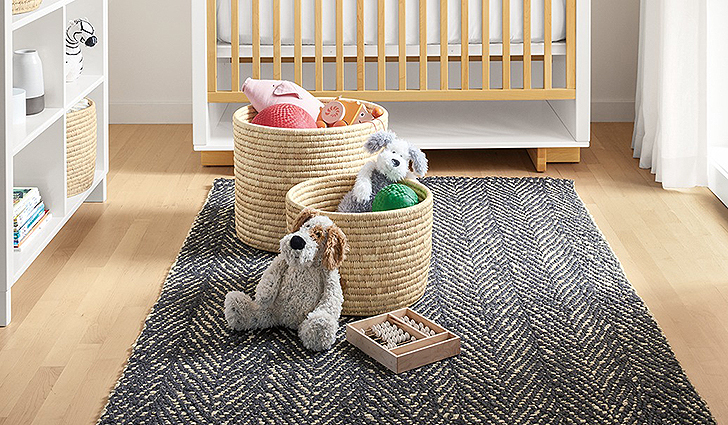 Handwoven in Bangladesh through Ten by Three®, these storage baskets make it easy to keep any room looking spotless. Plus, every basket includes a tag with a photo and short biography of the artist who created your one-of-a-kind basket. 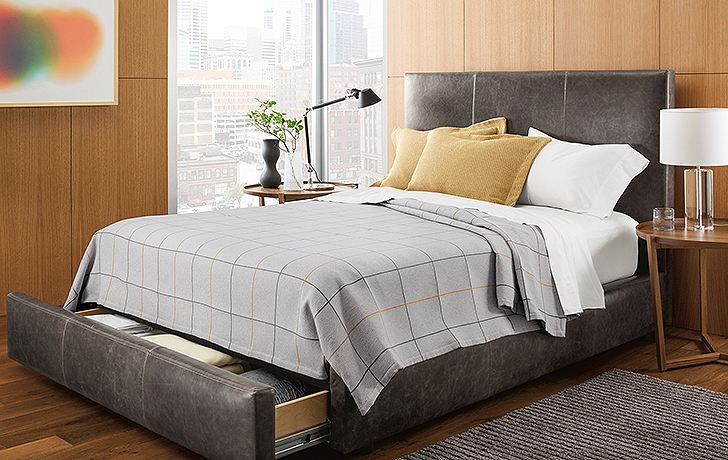 All of our storage beds include a hidden drawer that pulls out from the foot of the bed to add extra storage space to any bedroom, like our Wyatt storage bed in leather (shown above). 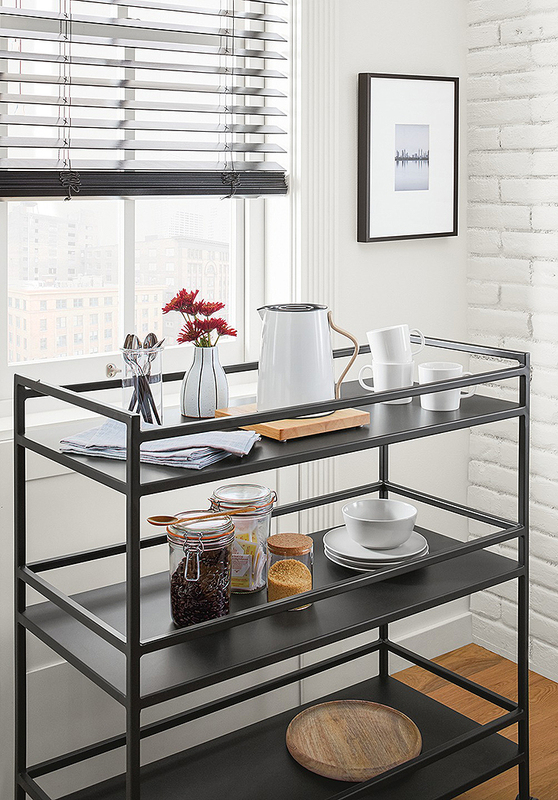 Offering great functionality for spaces large or small, our new Slim bar cart includes three shelves of space to store glassware, coffee tools and more. 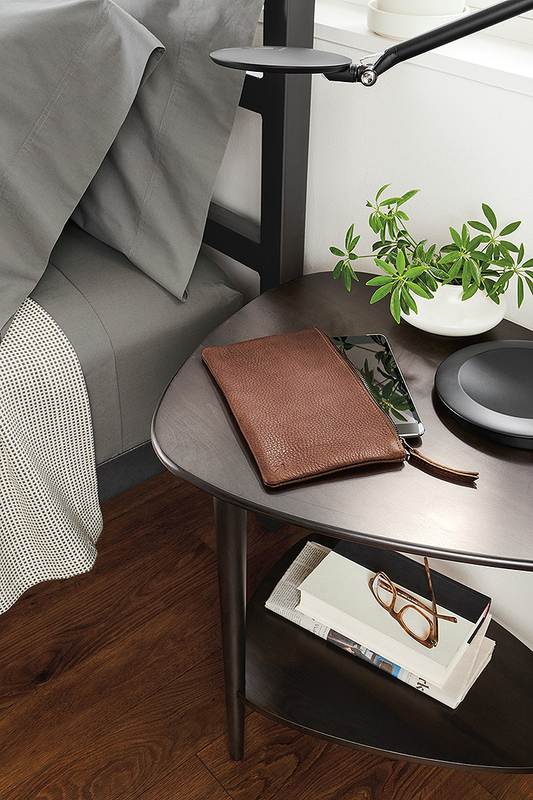 Our Irving cases are a stylish solution for keeping your desk or bag organized. Irving cases are available in three sizes: pencil case; small, sized to fit an iPad Mini® or a Kindle®; and large, which holds a standard iPad® or similar tablet. Shop all organization products here.